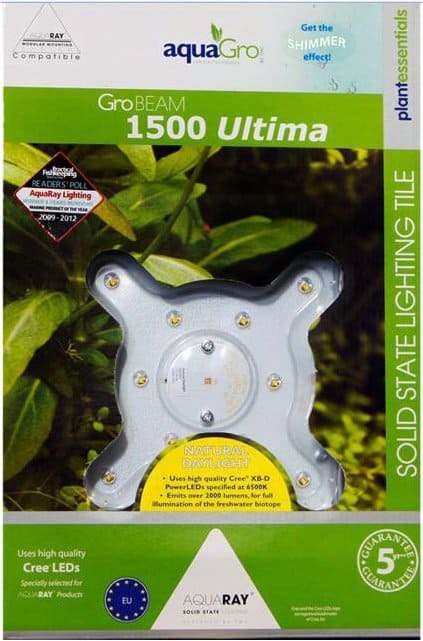 The TMC AquaRay GroBeam 1500 Ultima LED tile is part of the TMC AquaRay range which caters for the freshwater enthusiast by means of solid state lighting. 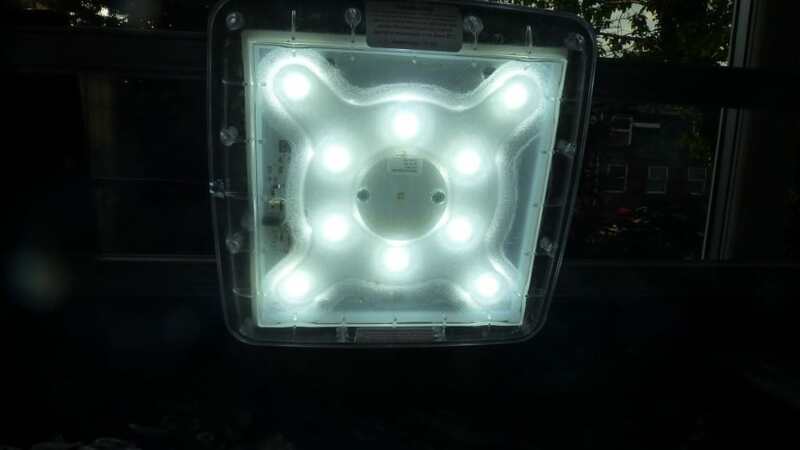 This LED tile is complete with 10x high quality natural day light Cree XB-D Power LED’s specified at 6500K and emits over 200 lumens for full illumination of the freshwater biotope. 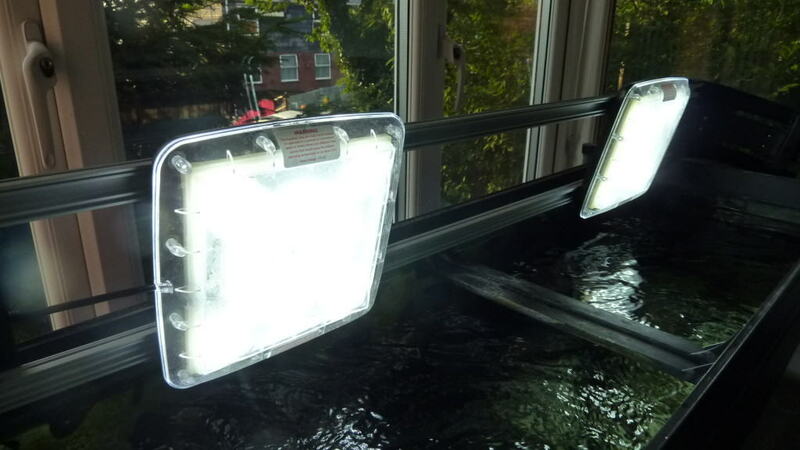 A wide angle beam which allows the light unit to be mounted close to the aquarium surface for optimum and even light distribution. 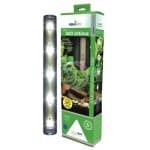 If you are looking for the ultimate in aquarium lighting then look no further, British company TMC have brought us LED lighting for some years now however their latest range of GroBeam products takes things up to the next level, with the GroBeam 1500 tile you will be sure to get the ultimate in natural shimmer effects in your aquarium as well as a direct and strong natural day light which is perfect for all freshwater aquarists. Whether you are growing plants in a community tank or a planted tank or if you are keeping rift valley cichlids and looking to promote algae growth or bring out the best colours in your fish then the TMC AquaRay GroBeam range will help you along the way. 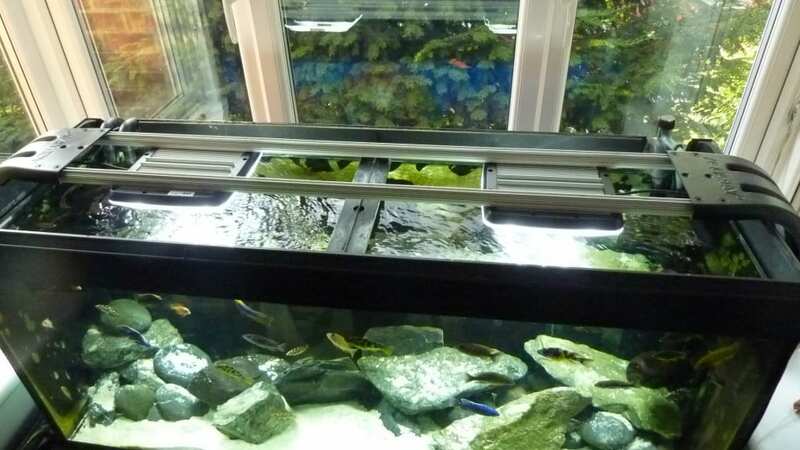 I have teamed these GroBeam’s up with some of the AquaBeam range in some tanks however in a Malawi Peacock 240 litre tank, 2 of the TMC AquaRay GroBeam 1500 Ultima LED Tile’s work perfectly. They run on the TMC 8 way controller giving full control of the lighting tiles. The tiles themselves are twin channel, with 5 LEDs on each channel and can be controlled independently. You could control one of these tiles from one of the TMC 2 channel controllers. 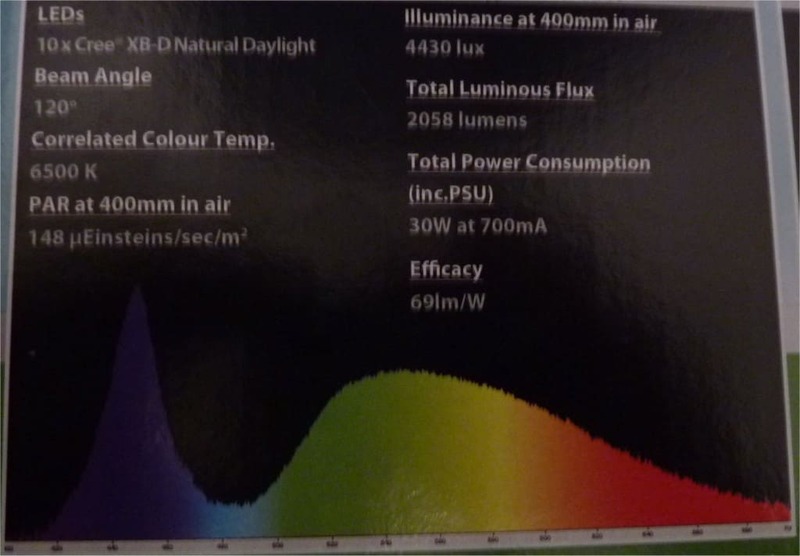 These controllers allow you to dim the lights to a percentage level and are very accurate, they will also allow for sunrise/sunset auto dimming giving a whole new level to the TMC AquaRay GrowBeam tile. It is worth noting that when your AquaRay is dimming or not at 100% it can be known to whistle or scream. This is not hugely audible however if your tank is in the living room it is worth noting that you would probably become quickly annoyed with the tiles not being at 100% for the majority of the time as the noise made is quite high pitched. As I understand this is normal and nothing to worry about, just slightly annoying and one of the downsides of this product. Now we have covered the only negative I have come across after owning this lighting system for a few months, on to the positives. 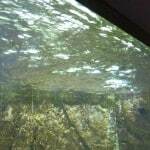 The shimmer effect achieved is very realistic and close to that seen in natures lakes and rivers, provided you have surface water movement. 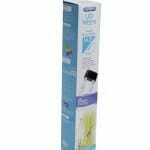 The surface water movement is what provides the shimmer effect so ensure your filter outlet is pointing towards the surface or you use a powerhead to do this job. I would say that this should be good practice anyway to be sure your aquarium water has a good amount of oxygen in it anyway. 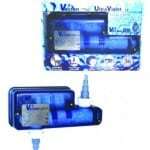 It ships with 2 mounting clips however can also be easily mounted using the AquaRay MMS System. As well as the mounting clips you will also be provided with a twin channel PSU (Power Supply Unit) and converter cables. The unit itself has USB connections however older controllers and PSU’s had 3.5mm jack connectors so newer units of the TMC AquaRay GroBeam 1500 Ultima LED Tile ship with converter cables so it is backward compatible with older PSU’s and of course, older controller units. 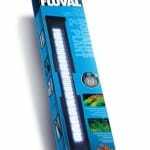 The AquaRay GroBeam 1500 Ultima LED Tile is available at many local fish stores now and can readily be found online. You would expect to pay under £169.99 for this unit and although this seems like a lot for a light, total cost of ownership is certainly lower than tube lighting and with a 5 year warranty on the light unit and 2 year warranty on the PSU, there is certainly the guarantee from TMC that this unit will last and save you money over time. I have heard of occasional LED’s failing on these units and TMC will swap the unit out providing you are able to supply proof of purchase. This is not standard practice and just hear say so please do not take this as being TMC standard code of conduct. 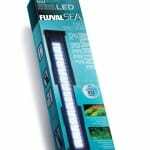 I would highly recommend this LED lighting unit for any freshwater aquarium, you will not be disappointed, just make sure you don’t look directly at the lights – they are bright!